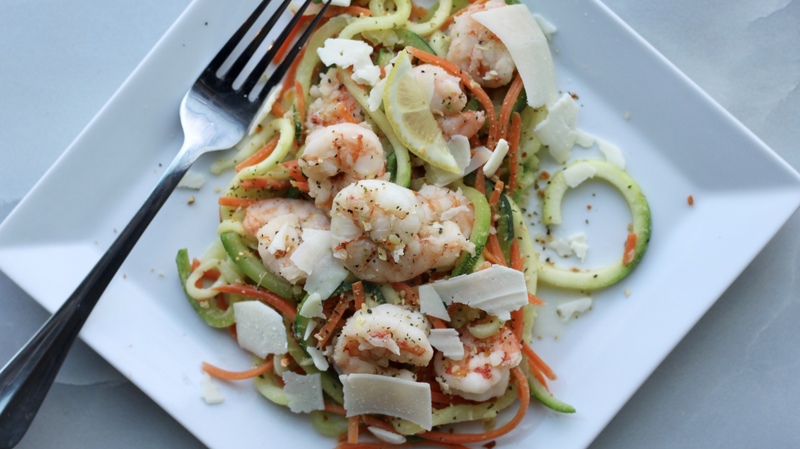 It’s fun to say, but even more fun to eat: ZOODLES! 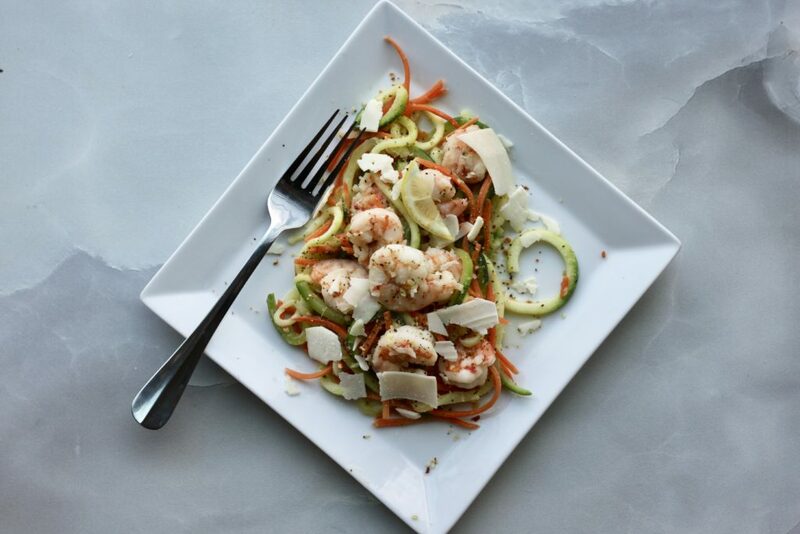 Try swapping out your standard spaghetti noodles for this non-starchy spiralized zucchini option. 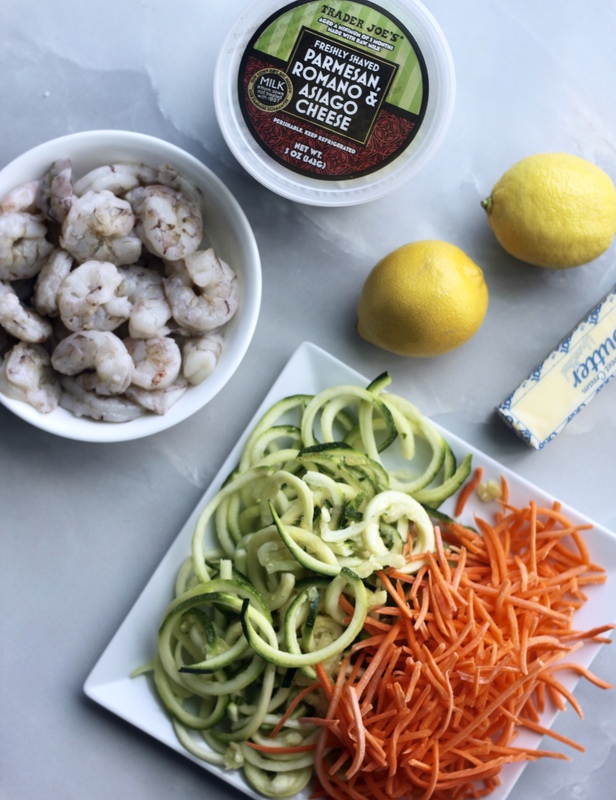 Luckily, you can find zucchini noodles pre-made in most produce sections, or consider getting a spiralizer yourself to make zucchini noodles at home. Pair with shredded carrots, which cook similarly & give additional color and flavor. Add shrimp and seasoning of choice to pot (If using minced garlic to season, add garlic first and allow garlic to cook in butter for about 1 minute before adding shrimp, stirring consistently). Cook shrimp for about 5 minutes, or until they are opaque and pink. Juice half of lemon over the top of shrimp and stir, cooking for another minute or so. Transfer shrimp to bowl, leaving liquid in the pot. Add Zoodles & carrots to pot and cook for 8 minutes. Add shrimp back to pot, cook all ingredients together for another 3 minutes, juicing the other half of lemon on top. When serving, top individual portions with sprinkle of cheese of choice.